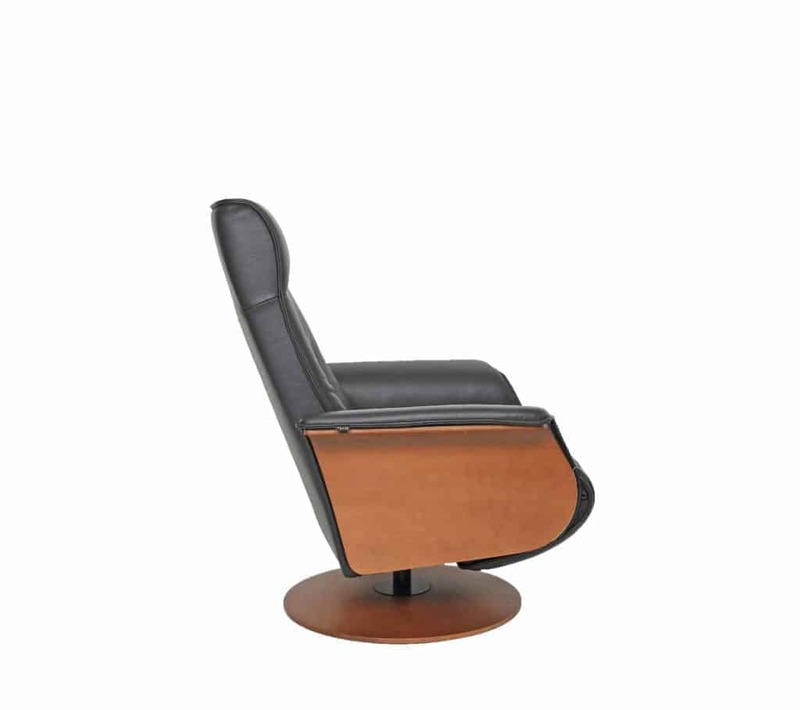 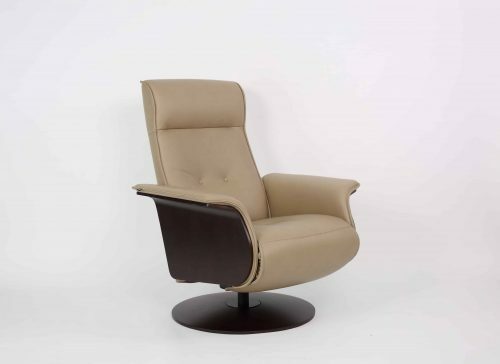 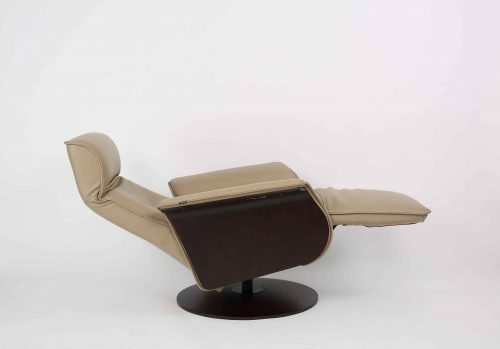 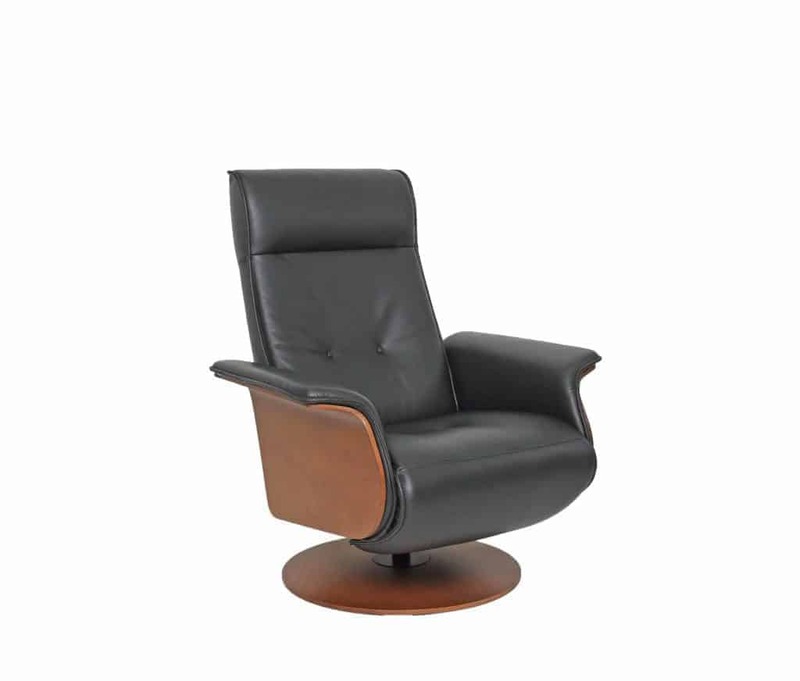 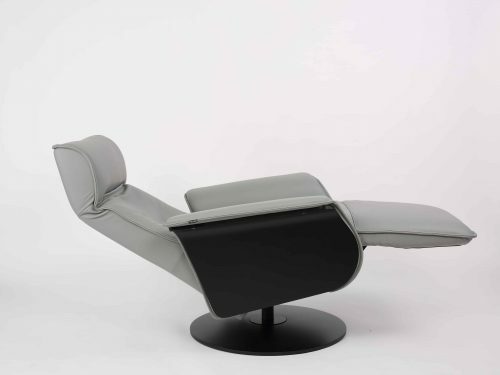 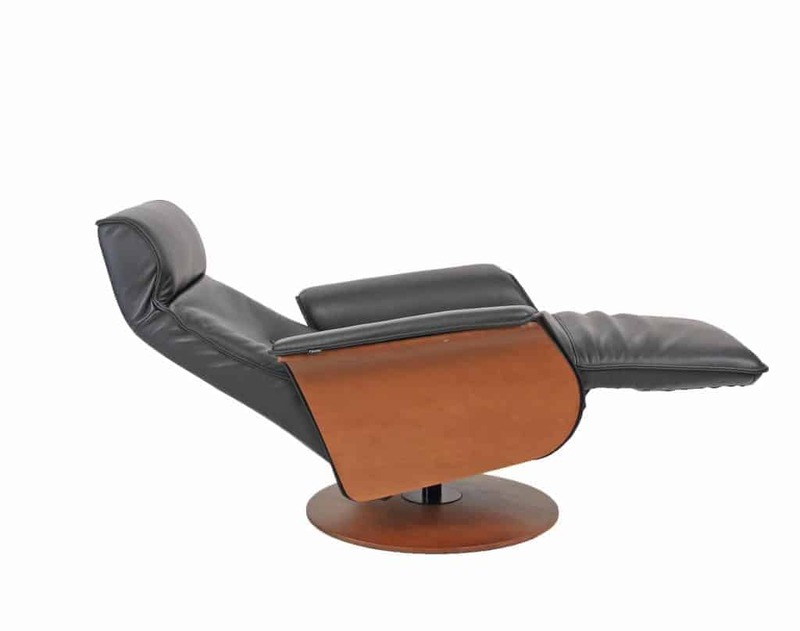 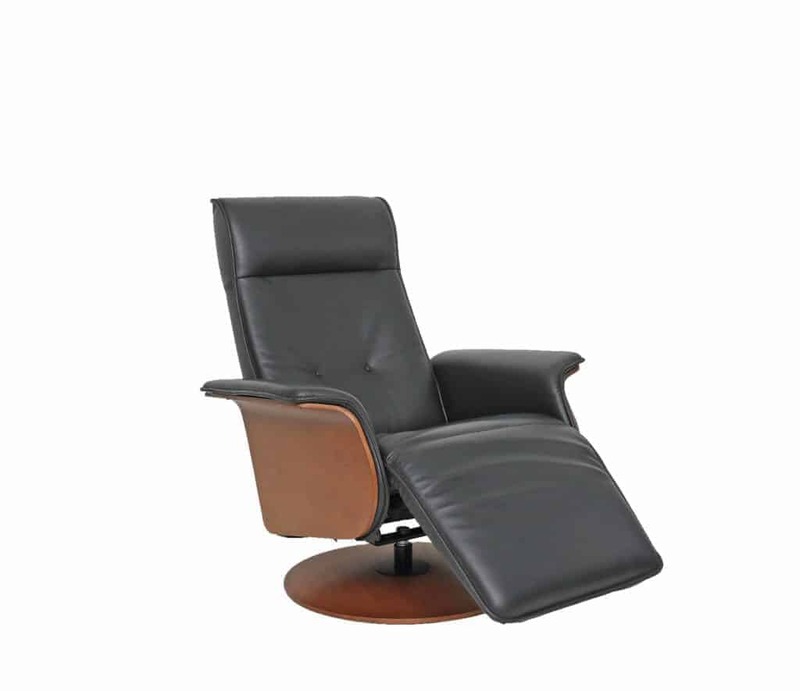 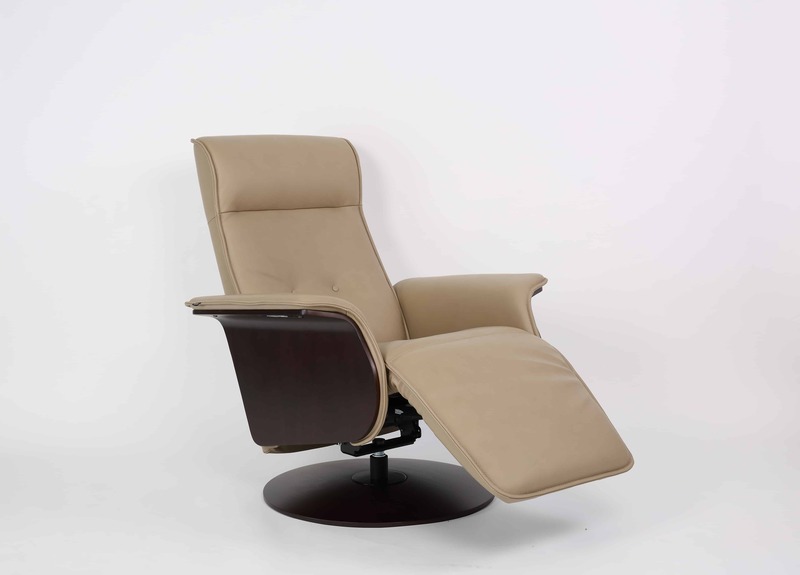 The Relaxer Hans Swing Recliner is from Fjords by Hjellegjerde, producers of the original Scandinavian leather chairs and renowned for high-end Norwegian furniture design. 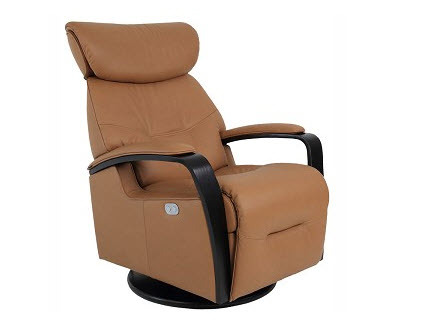 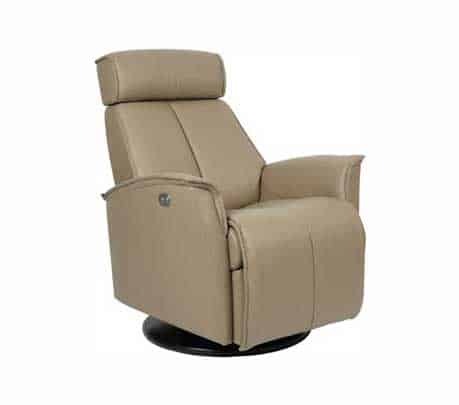 The Fjords Relaxer Hans Swing Recliner is a chaise relaxer that incorporates rounded upholstered wooden arms giving it a smooth and modern design. 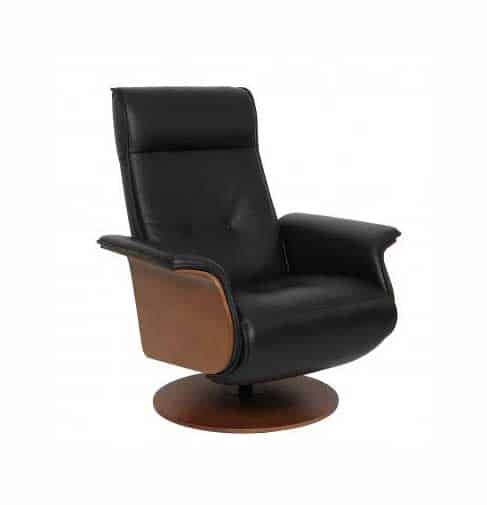 Fjords features a huge selection of beautiful fabrics and leathers for their furnishings as well as various wood finishes. 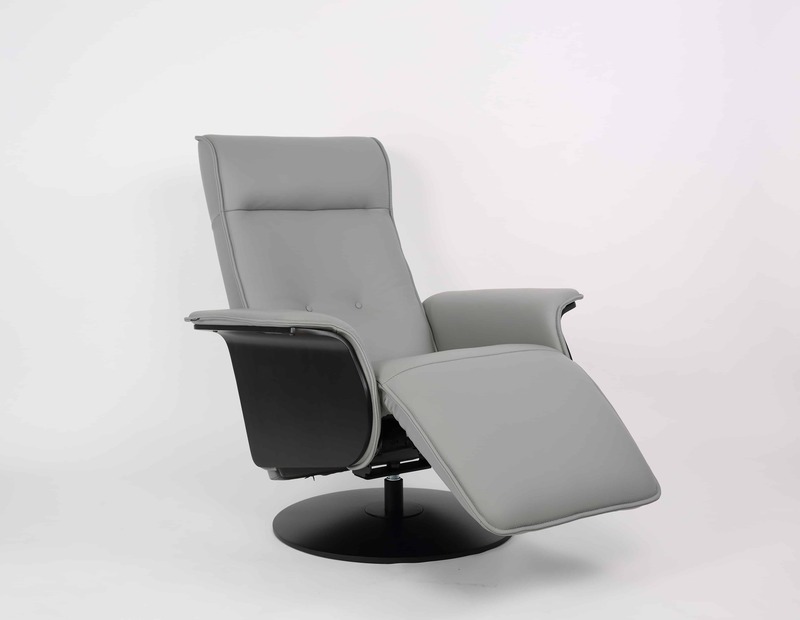 Black Base is standard on all swing relaxers.